20th KINO EXPO INTERNATIONAL Convention & Exhibition and by KINO EXPO will take place in St. Petersburg, at the new “Expoforum” Congress Center, on 19 – 22 September 2017. KINO EXPO established in 1999, is the world’s third largest international cinema industry convention and exhibition with the focus on markets of Russia and neighboring CIS (former USSR) – Kazakhstan, Belarus, Ukraine, Armenia, Moldova, Azerbaijan, Central Asian countries, alongside with Baltic countries - Lithuania, Latvia, Estonia. KINO EXPO Convention is the one and only annual event for Russian/CIS cinema and entertainment industry, and at the same time the meeting point of Russian/CIS and international cinema business communities. At KINO EXPO all major Hollywood studios, Russian/CIS and international independent distribution and production companies present their upcoming films and product reels directly to the local cinema theatres’ operators, TV channels and digital media. 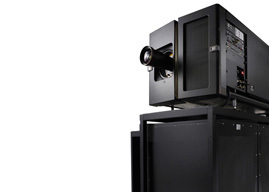 KINO EXPO Exhibition is the world’s third largest motion picture theatre equipment exhibition, which as well incorporates various entertainment systems/technologies and digital signage solutions for the cinemas and shopping malls.